The original Speed Twin was introduced in 1938, helping establish the long tradition of British parallel-Twins, setting benchmarks its lightweight chassis and an engine that out-powered the Singles of the era. The 2019 Triumph Speed Twin seeks to recapture the original’s glory as a modern, high-performance roadster. 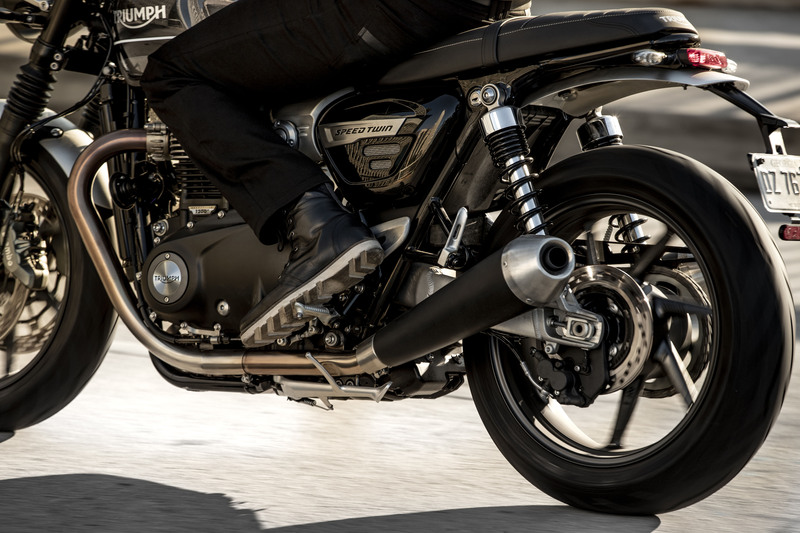 The new Triumph Speed Twin is powered by the high-power version of the 1200cc 8-valve parallel-Twin Bonneville engine with the similar tuning as the Thruxton R. For the Speed Twin, Triumph added a new magnesium cam cover, new mass-optimized engine covers and revised the clutch assembly. The result is a claimed 5.5-pound weight savings compared to the Thruxton engine. Triumph claims a peak output of 96 hp at 6750 rpm and 83 lb-ft of torque at 4950 rpm.